Looking for a spectacular and luxurious vacation in Bora Bora? 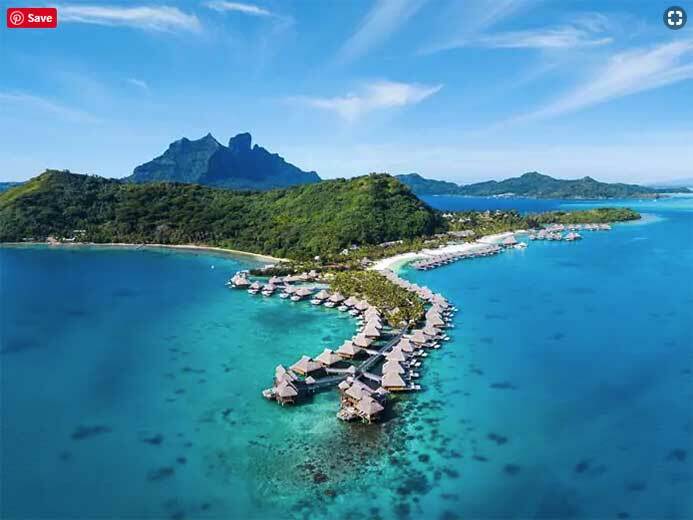 The Conrad Bora Bora Nui is a beautiful resort located on the private island, Motu To’opua. Here you will enjoy a private soft white sand beach and a renovated resort. Conrad Bora Bora Nui is located on the private island, Motu To’opua. Want some privacy or a midnight snack? In-villa dining is available 24 hours a day. Hina Spa offers a truly luxury retreat for those who appreciate the finer things. Hina Spa is a haven of comfort and beauty with breathtaking views. 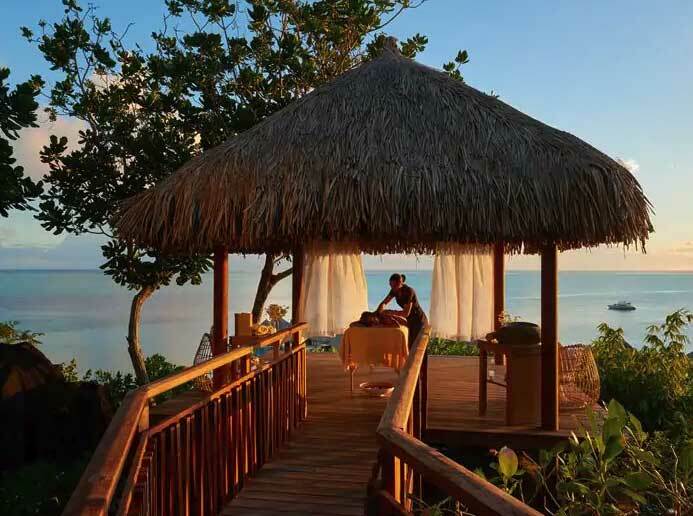 Indulge in a variety of world-class treatments designed for singles and couples. Hina Spa uses only the finest natural products and features a relaxation zone that is equipped with a sauna and steam room. Looking for a romantic Bora Bora vacation? Hina Spa was awarded “Favorite Romantic Spa” by American Spa’s 2018 Professional’s Choice Awards. Hina Spa is a haven of comfort and beauty with breathtaking views. 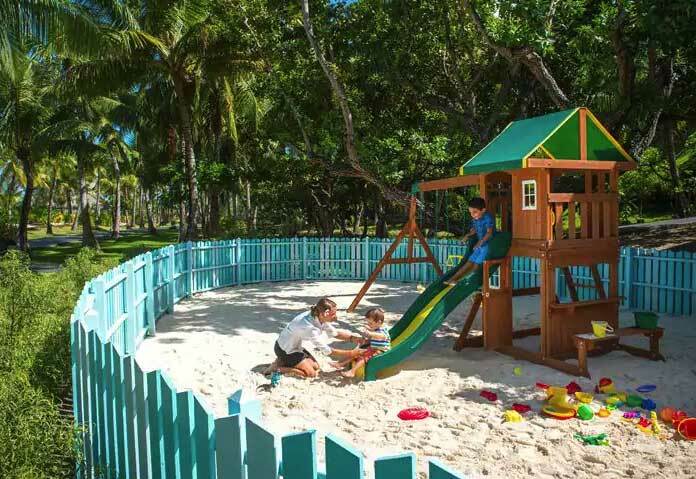 There is so much to do at Conrad Bora Bora Nui! The Tamariki Kids Club offers fun for children 3-16 years old. 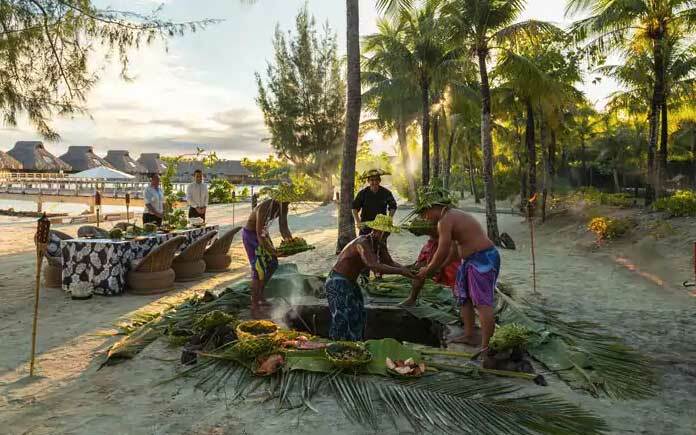 Whether you are looking for a simple romantic ceremony or a lavish day of indulgence a wedding a Conrad Bora Bora Nui is the perfect choice for a destination wedding. You can choose to hold your ceremony on the white beach, on the private islet, in your villa or the hilltop chapel. 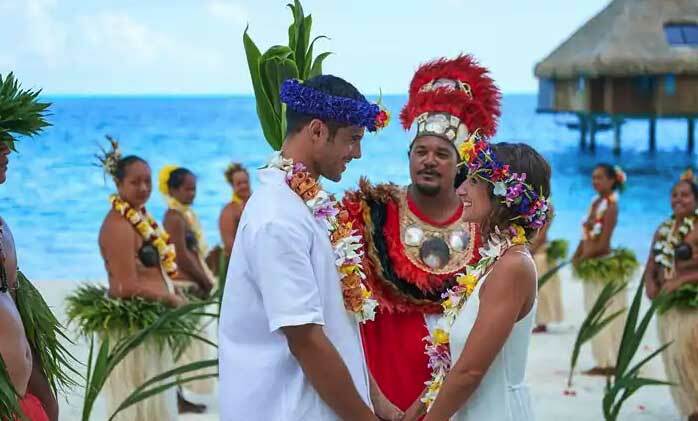 Your wedding at Conrad Bora Bora Nui will be a day that stays with you forever. and a two, three or four-tier wedding cake. 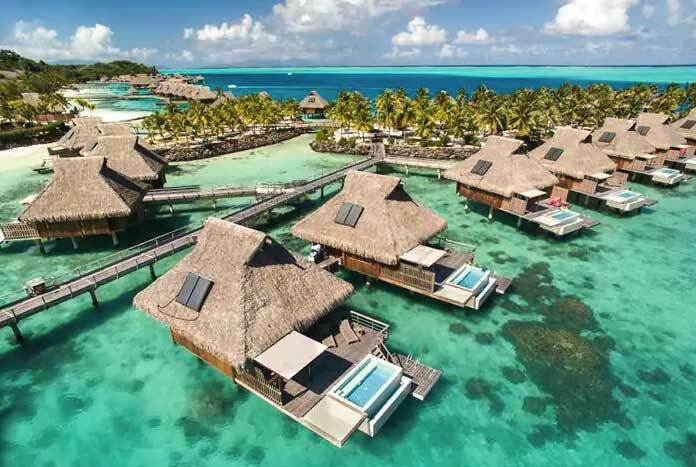 Ready for a Luxurious Bora Bora Vacation? Be sure to give luxury travel advisor, Margi Arnold a call to discuss your Bora Bora vacation to Conrad Bora Bora Nui. With over 25-years’ experience in the travel industry Margi, is an expert that will help you personalize your trip and will ensure a worry-free vacation. Start by completing a vacation request or call Margi at 888-568-4432.